This roasted cauliflower dish was recommended to me so many times that I finally got around to making it, and we loved it – so delicious. Put everything except turmeric and paprika in a spice blender – blend well and then stir in the turmeric and paprika. Store in airtight jar – will keep for months My spice grinder is getting a little old and struggles with the cinnamon … next time I might try using ground cinnamon. I like to marinate this in a ziplock bag – allows the cauliflower to get the spice blend in all those nooks and crannies. Just put everything in the bag, give it a squish, squish, add the cauliflower and allow to rest in the fridge for a minimum of 1 hour, even better if allowed to rest overnight. Roast at 400 for 40-60 minutes, depending on the size of the cauliflower. Remove from oven and drizzle with a great quality olive oil and a generous squeeze of freshly squeezed lemon. So easy to do – give all ingredients a whiz or two in the food processor, or a mortar and pestle, until you have a pesto like consistency. 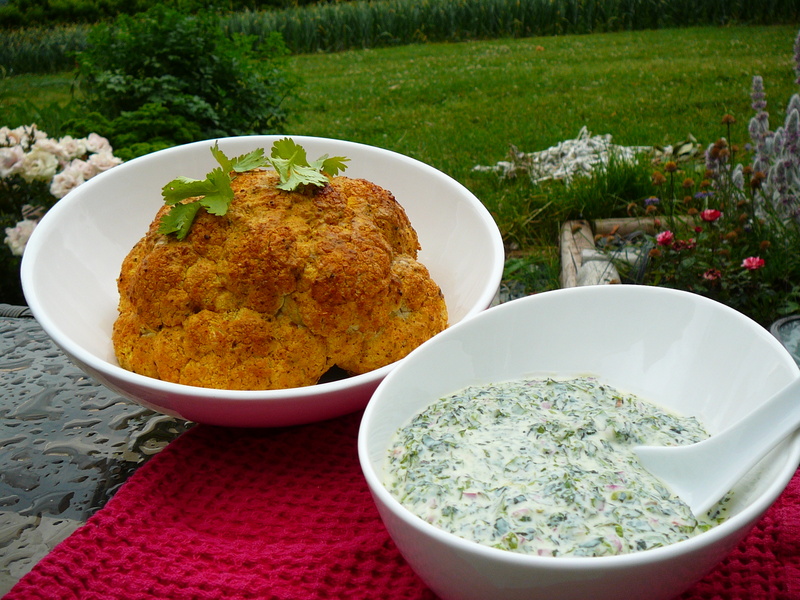 Season to taste and serve with this delicious cauliflower. This entry was posted in Uncategorized by Chatty Kathy. Bookmark the permalink.